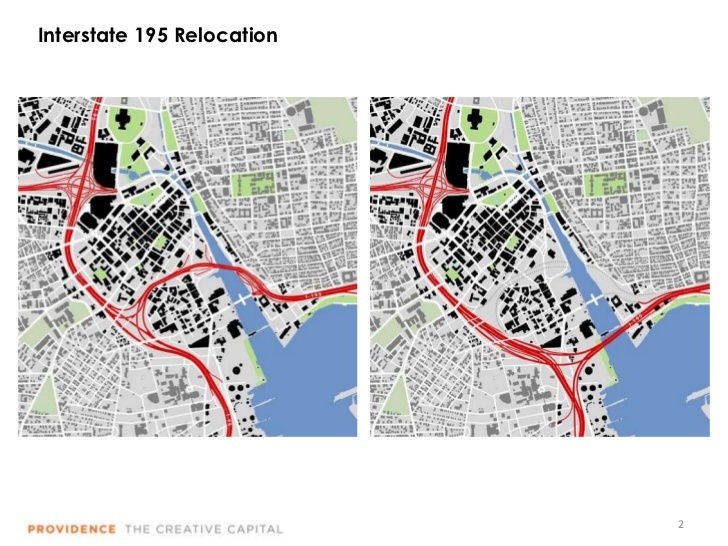 Above are two maps of Providence before and after the relocation of Route 195, opening up about 40 acres for development between downtown and the Jewelry District. Toward the top of the map you can see the Providence River curve toward Waterplace Park and the huge (and elegant) Providence Place shopping mall in Capital Center. These are the major development areas in Providence. Between them is the old commercial district with many loft rehab projects developed over ground-floor retail that is changing the tenor of life in Rhode Island’s capital city. 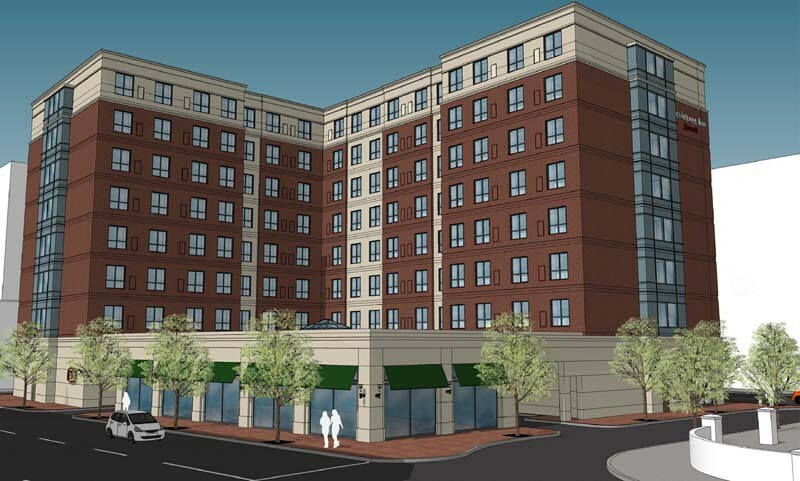 Below is a pictorial summary of the latest major development projects in Providence, within the I-195 Redevelopment District, near it, and in the more central districts of downtown not far away. Rhode Islanders should be aware that if all of these projects are completed, the state will receive a strong economic boost. But if they are completed according to the latest designs proposed, that boost will face a strong undertow in design that would undermine rather than strengthen the state’s brand. 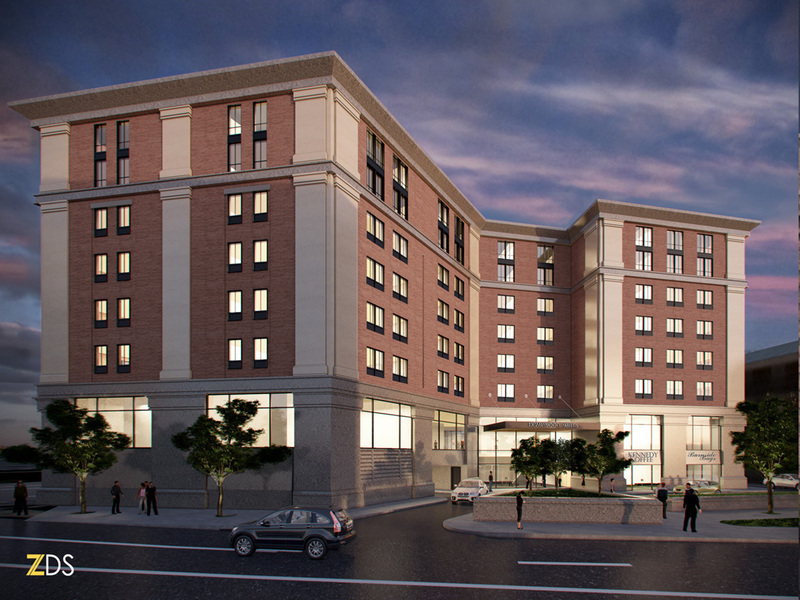 The two dormitories shown above in renderings are to fill the first parcel sold by the 195 commission. 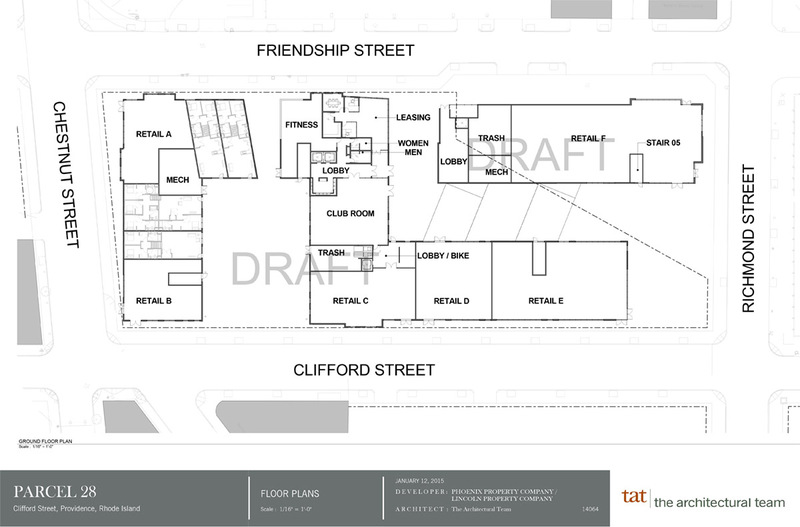 The structure in the upper right quadrant of the plan involves demolishing a very nice background building erected in the 1920s. Part of the rationale for spending over $600 million to relocate Route 195 in 1990-2010 was to reknit the old Jewelry District to downtown. The design conception for the 195 corridor, not to mention the demolition of a historical building, undermine vital parts of the rationale for the highway relocation. Above are renderings of preliminary designs for two dormitories that are part of the South Street Landing project, which involves renovating a Beaux Arts power station as a state nursing school sharing space with some Brown University offices. 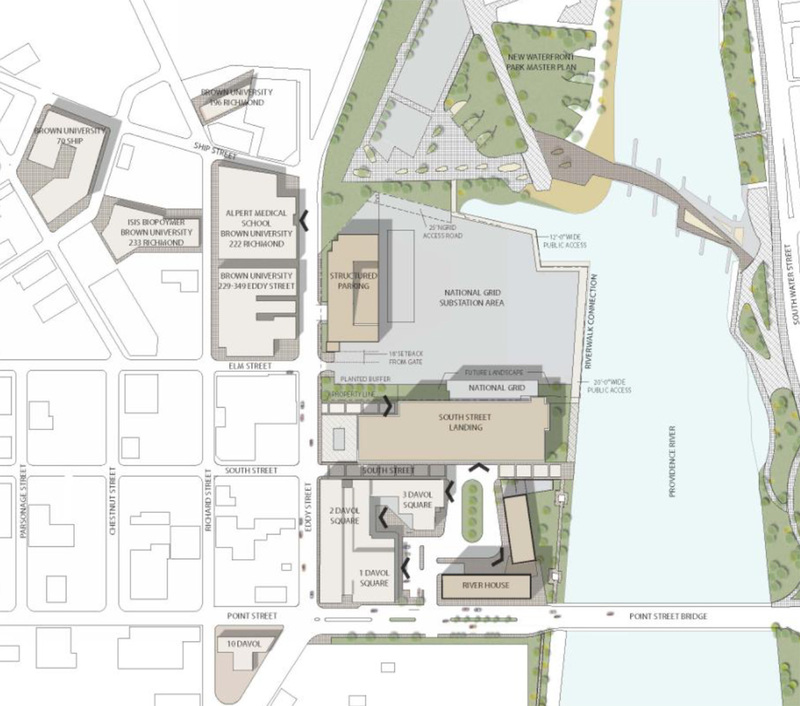 Added would be two private dorms and a private parking garage, as seen in the plan of the entire project, which is right next door to the I-195 corridor and, possibly, a new stadium for the PawSox. 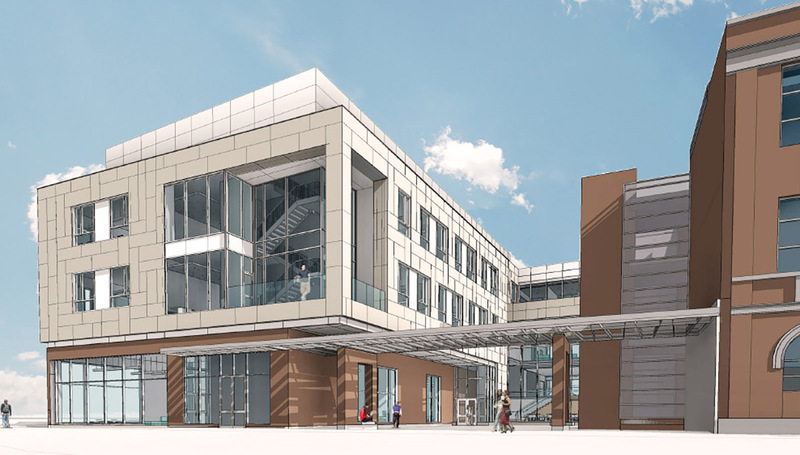 Above is the rendering of the Johnson & Wales University engineering and architecture department’s building now arising, the first new construction under way in the 195 corridor. It is still girders. It may not be feasible but it would be nice if there were time to give this building a façadectomy to make it more congenial to its neighbor specifically and to its neighborhood. 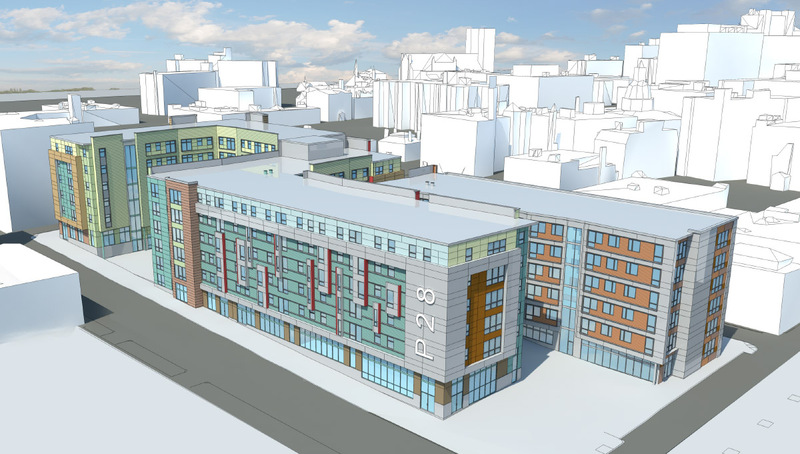 Above is an initial and a later rendering of a proposed hotel on Fountain Street downtown, next to the Providence Journal building and atop the site of the Fogarty Building, an example of unpopular Brutalist architecture. 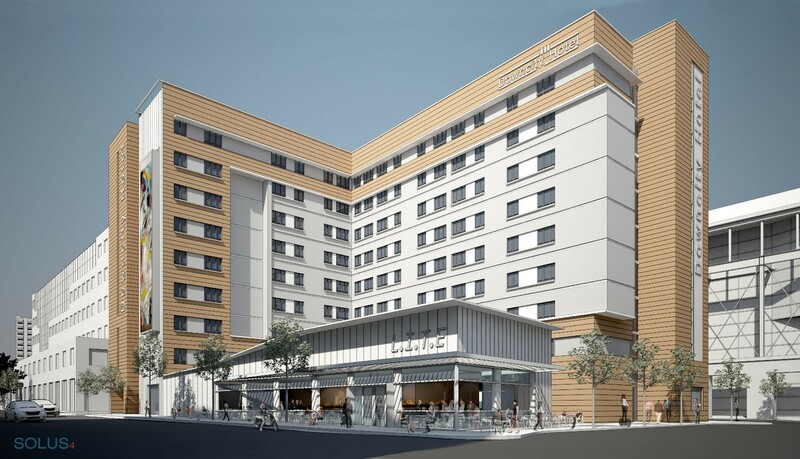 As you can see, the design for the hotel has already taken a sharp turn from modernist to traditional, even though there remains plenty of room to improve the latest design. Above is an initial and later rendering of a proposed hotel on Parcel 12 of Capital Center, a triangular parcel near Kennedy Plaza whose shape causes problems and has yet to be adequately addressed. The initial design was traditional with very much room for improvement. The latest design moves further toward a traditional, even classical, motif, but it can still be substantially improved. 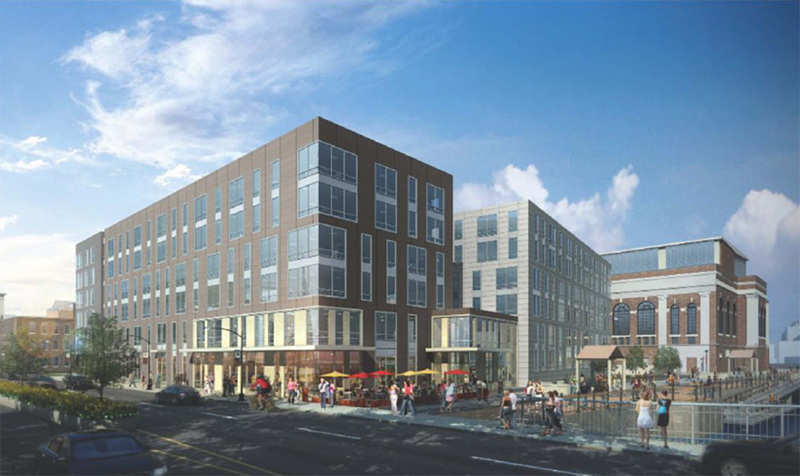 These are the major development projects moving forward downtown. All but the J&W building are in very early development stages. Most have not even begun to enter the long, winding, costly and confusing Providence design and permitting processes. Maybe there is time to reverse the worst of these designs, and there is certainly time to greatly improve the best of them – the two hotels. Improving Rhode Island’s business climate and solving its structural problems in finance, education and other areas involves selecting from policy choices that each involve special interests and political fights that might never be won or lost. On the other hand, improving the character of Rhode Island’s built environment involves, comparatively speaking, a few changes in some squiggles on some pieces of paper. Thus, the easiest way to start to bring Rhode Island’s economy back is through design. This entry was posted in Architecture, Art and design, Development, Landscape Architecture, Preservation, Providence, Rhode Island, Urbanism and planning and tagged Brown University, design, Design Review, Dormitories, Downtown, I-195 Redevelopment District, Knowledge District, Nursing, URI. Bookmark the permalink. A truly new Providence is afoot!